This is rare, very well made zoom. Few Zooms were made for Alpa. 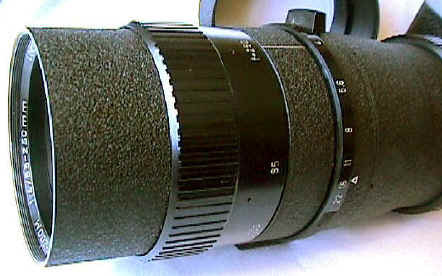 Apparently this one was designed in response to the first Nikon zoom, the 85-250/4. 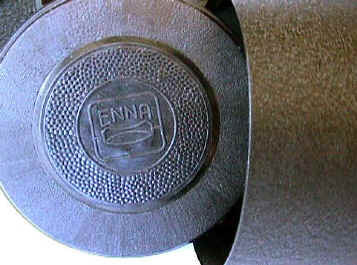 Although the West German manufacturer Enna is generally is not considered among the best lens makers, the quality of this zoom's construction is really outstanding. 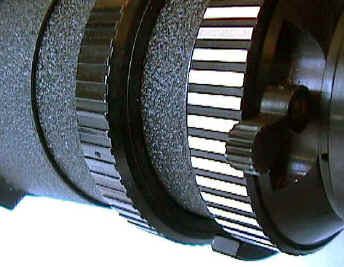 In my opinion its construction is superior to Angenieux, and the equal to Kinoptic. 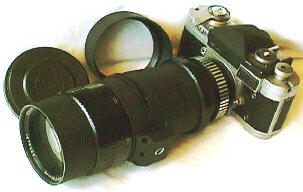 It is also one of the rarest Alpa lenses. According to the Alpa Book, in German, only 132 were made!! It has dual zoom controls, one ring for focusing and one ring for zooming. Pre-set diaphragm, with a Rotatable tripod mount and a gelatin filter drawer. Weight of the lens, lens shade, and cap is 3 1/2 lbs. One peculiarity is that the lens has NO marked focusing distance. It is finished in a black crinkle paint, very much like the current Nikon AF ED telephotos. I found it listed in 1967. 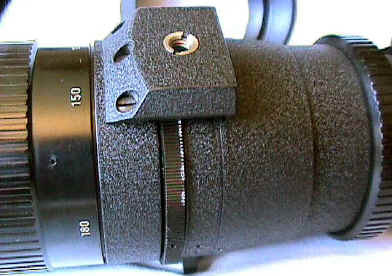 Mounts were offered for Alpa, Exakta, Miranda, Pentax, and Nikon. At that point in time, the only comparable zooms made were by Nikon, Canon, Alpa, and Schneider -- rather elite company for a smaller independent maker. The special lens shade is a reversible screw in design, with a plastic "ENNA" embossed cap. The cap fits on the shade, EITHER in reversed or NON reversed condition. The shade screws in, either in normal or reversed positions. Too bad these features are not used more often by other lens makers. 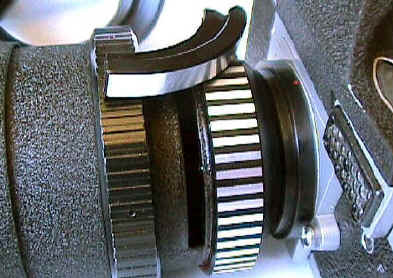 The pic on the right shows the zooming ring on the far left, the Rotatable tripod socket, and the focusing ring on the right. Note the high quality of finish. The pic on the right shows the gelatin filter drawer. The lever on the right hand pic is the LOCK for the rotating tripod socket. Showing attention to detail, even the plastic lens cap and shade are very well done.